Hey Gang! Happy Thursday! I hope everyone is having a wonderful week and enjoying this busy/crazy/wonderful Christmas season. 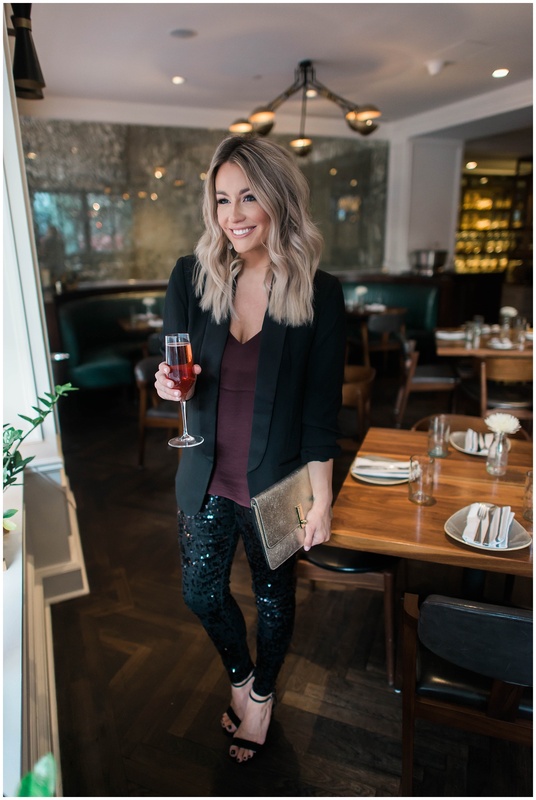 Today I’m teaming up with Express to share a fun holiday look with y’all! 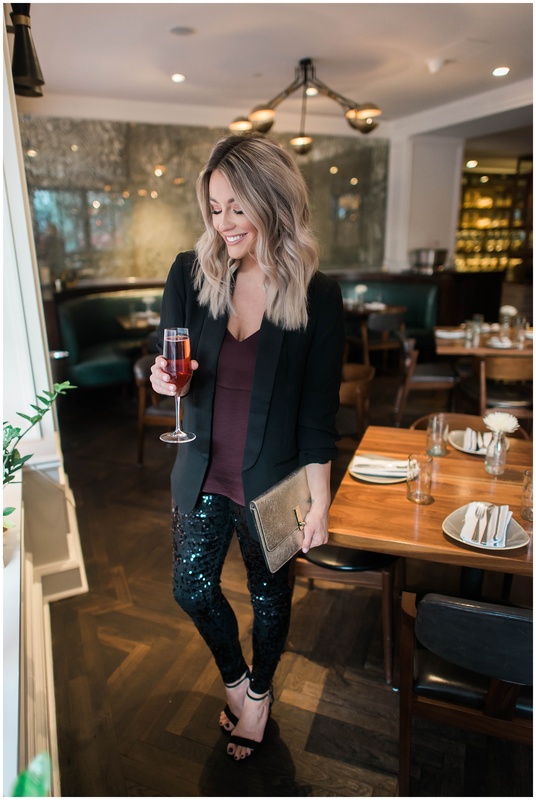 When I went into my local Express to find something for this shoot, I had every intention of getting a sparkly little holiday dress to wear, but when I saw these sequin leggings I knew I had to have them. 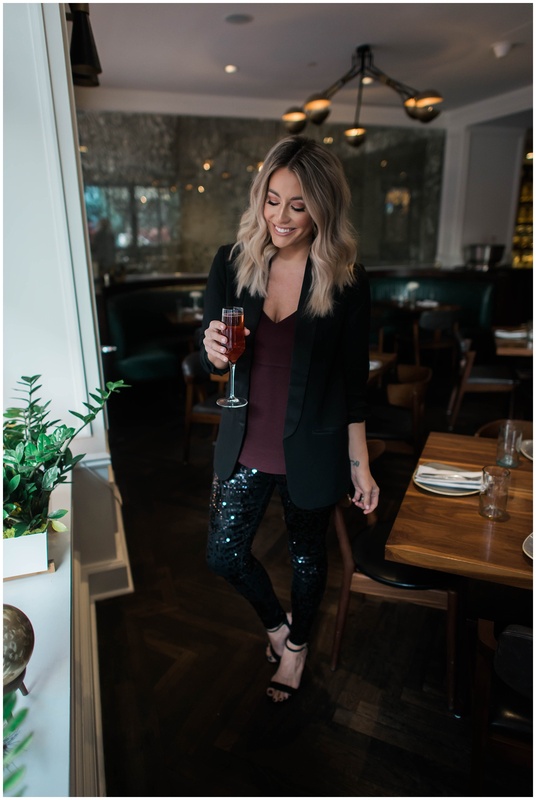 These leggings are so cute and fun and the sequins make them perfect for the holiday season! 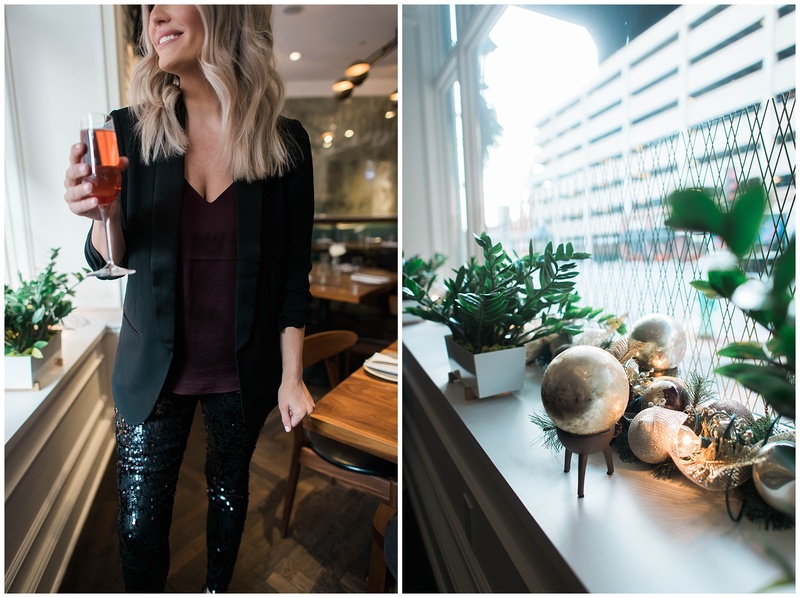 I am a total girly girl, and I love wearing glitzy little dresses, but the idea of being warm and comfortable gets much more appealing to me the older I get. We are in Indiana this week and it is freezing here! I love that these give me that glamorous holiday look, while still being warm and practical for Indiana #momlife. I dressed them down a little by pairing them with this ivory sweater and rose gold studs. 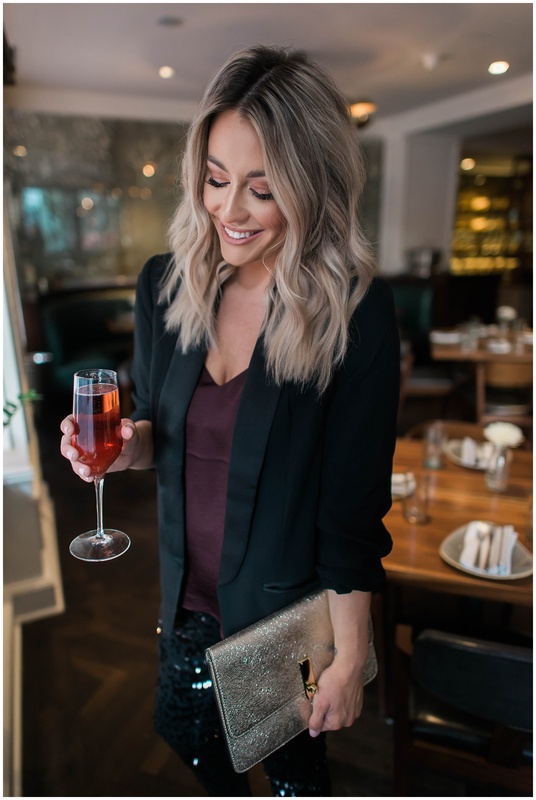 This look would be perfect for a holiday party, dinner out with friends, attending your kids Christmas program, or even a low key New Year’s Eve. When I first snatched up these leggings, I wasn’t sure what I was going to pair them with. But I quickly figured out they were way more versatile than I originally thought. I tried them on with a long sleeved bodysuit, sweaters, a graphic tee and leather jacket, and tons of blouses and I loved them with everything. Since I had so many favorite ways to style them, I thought I would show you one more. The shoes and the leggings are the same, but I switched out the cozy sweater for a silky tank and blazer for a dressier look. I love it this way too! Perfect for a Holiday work party. This tank comes in tons of colors and this blazer has a great fit. 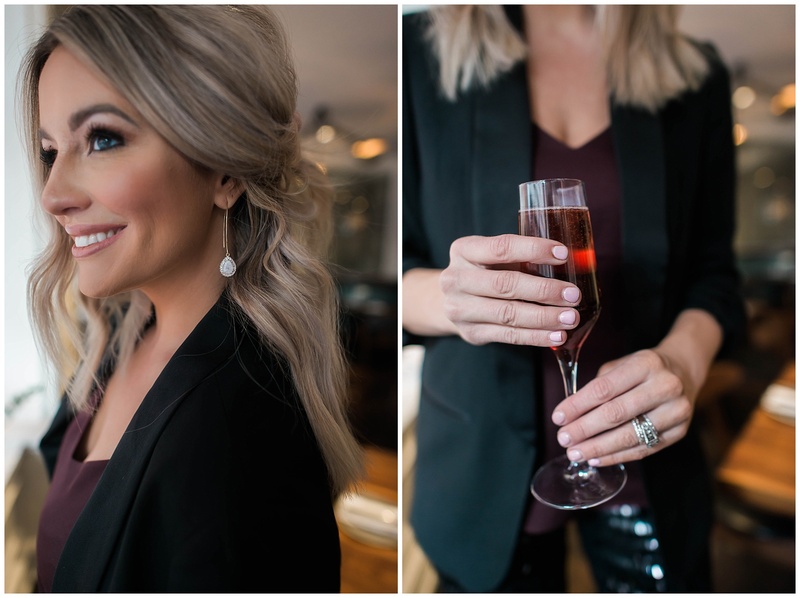 I added these little drop earrings and a metallic clutch for a some of that holiday sparkle. Thank you so much to Express for partnering with me on this post! Gorgeous post lady! Loved that! !